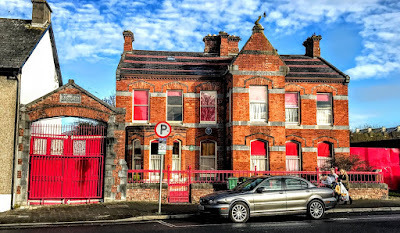 Boru House has a distinctive but forlorn looking presence on Mulgrave Street in the centre of Limerick. 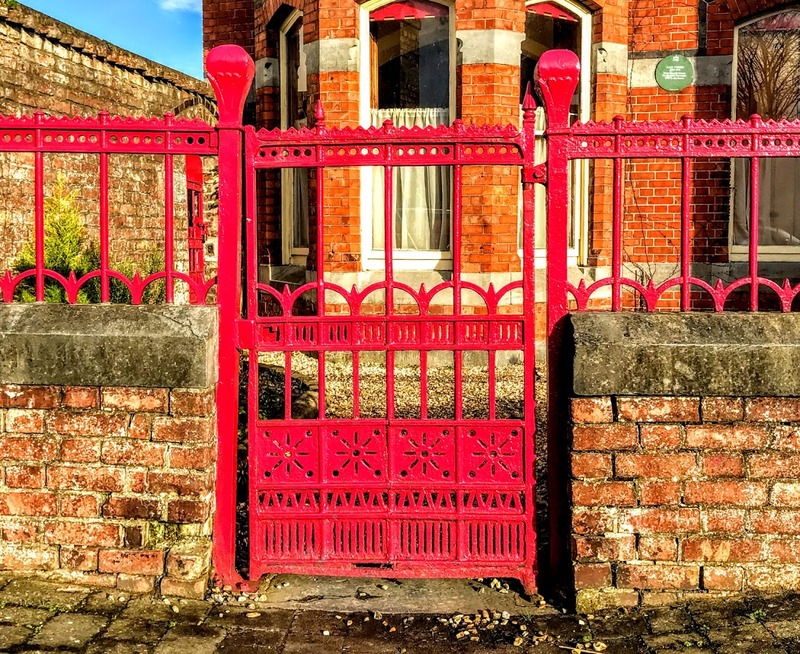 This detached, two-storey, red-brick Victorian house was built in 1880, and is an impressive work of architecture: it is a large detached, two-storey, red-brick Victorian house and originally it had many period features. The house is known not only for its architectural eccentricities, but because the writer Kate O’Brien was born here 120 years ago on 3 December 1897. Kathleen Mary Louise O’Brien was one of the 10 children of Tom O’Brien and Catherine Thornhill who lived here. Her mother died when she was five, and she was a boarder in Laurel Hill Convent on South Circular Road, Limerick, from 1903 to 1916. She was a journalist with the Guardian in the 1920s. Her first novel, Without My Cloak (1931), is a chronicle of middle-class Irish life. Its theme would be constant throughout her novels, namely the struggle – particularly the struggle of Irish women – for individual freedom and love against the constricting demands of family, bourgeois society and what were then ccepted as Catholic values. Like Pamela O’Malley, the Limerick-born writer I was discussing yesterday, she also lived for a time in Spain, and was a vocal critic of Franco’s fascist dictatorship. Her Farewell Spain (1937) led to her being banned from Franco’s Spain. Her later novels included The Ante-Room (1934), Mary Lavelle (1936), Pray for the Wanderer (1938), The Land of Spices (1941) and The Last of Summer (1943). Many were seen at the time as too explicit in their discussions of women’s sexuality and were banned in Ireland. Her most successful novel was probably That Lady (1946), set in 16th century Spain. In 1951, she published a short biography of Saint Teresa of Avila. Meanwhile, Kate O’Brien had returned to Ireland in 1950. She settled in Roundstone, Co Galway, where she wrote The Flower of May (1953) and As Music and Splendour (1958), set in the world of 19th century Italian opera. In 1962, she published My Ireland, an idiosyncratic pen-portrait similar t0 her earlier Farewell Spain. A few years later, she returned to England in 1965. There she contributed a column to The Irish Times from 1967 to 1971. She died in Faversham, near Canterbury, on 13 August 1974. In August 2005, Penguin reissued her final novel, As Music and Splendour (1958), which had been out of print for decades. Boru House was built by the writer’s grandfather Thomas O’Brien. He was from Kilfinane, Co Limerick, and when he was evicted in 1852 he moved to Limerick City, set himself up as a horse dealer, and become a wealthy horse breeder and supplier of horses to the army and gentry. In 1880, he built Boru House on Mulgrave Street as his family home, and used the large open space of land behind the house for stabling and exercising his horses. This is a detached, six-bay, two-storey polychrome red brick building, with a single-bay two-storey gabled entrance breakfront to the middle third bay and a three-sided canted bay window to the west. The red brick faced façade is laid in English garden wall bond with limestone ashlar platpands. At the front of the house, there is a red brick wall with limestone coping, cast-iron railings and two cast-iron gates. 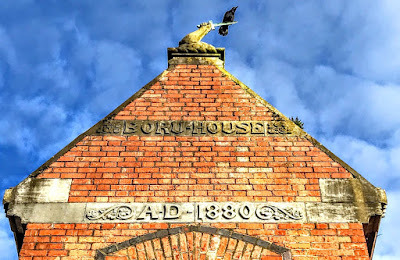 Kate O’Brien’s father, Thomas O’Brien, died in 1916, and Boru House was sold by the O’Brien family to the Lloyd family in 1919. A decade ago, there were hopes that the house would become a writers’ centre. It had been on the market for three years through John de Courcy estate agents in Limerick, with an initial asking price of €1.4 million. The Lloyd family who owned the house, were hoping the house would reach considerably more, but over three years there was little interest and no keen buyers. The house was described then has having seven bedrooms, with four extra rooms in the attic space, and a total floor area of 36,023 sq ft, with extensive gardens to the rear. But estate agents said at the time that the problem was that this is a middle class house in an area that is not a middle class residential suburb. 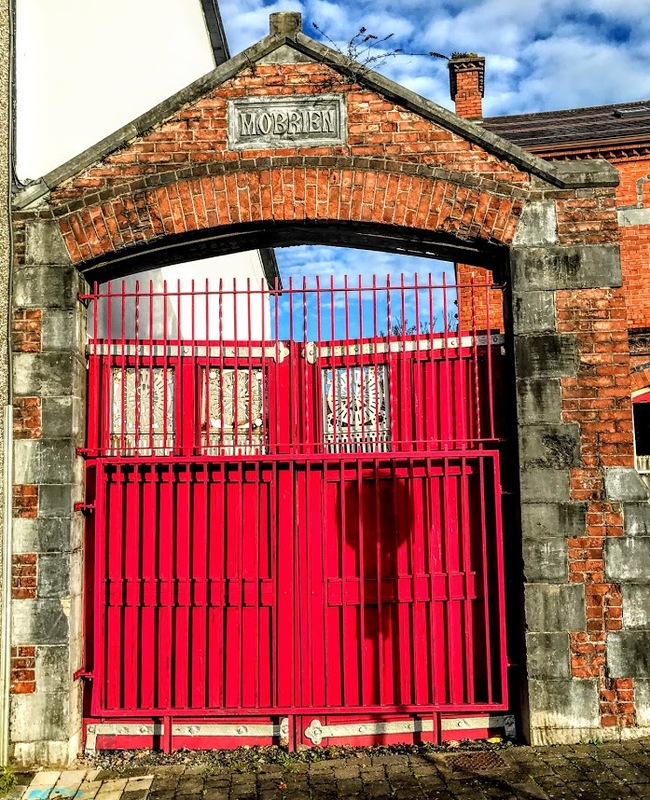 It is directly opposite Saint Joseph’s Hospital, and close to Limerick Prison. By 2008, the house was said to be ‘near a state of dereliction’ and falling into disrepair. A month later the house was damaged by two fires within hours of each other, and there were reports of vandalism and visible neglect. Both the Limerick leader and the Limerick Post reported it looked more like a condemned structure than a protected listed building. 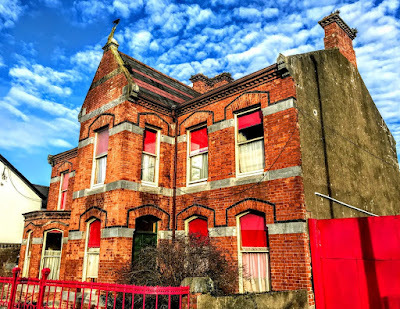 The acts of vandalism continued to be repeated, and despite continued pleas, negotiations and feasibility reports, Limerick City Council did not buy out the owners. Despite the collapse in the property market in the intervening years, the asking price remained at €1.4 million. The asking price dropped eventually to €350,000 and the house was sold to a private buyer early in 2012, reportedly for around €85,000, perhaps as little as €80,000. Later, the Limerick Leader named the new owner of Boru House as David Fitzgerald. There were promises at the time of a full restoration, including the interior plasterwork and fitting and the railings and cast-iron work outside, and turning the house into a writers’ centre or museum. Instead, the house has been divided into apartments, and once again it looks sad and neglected despite all the plans and hopes of recent decades. 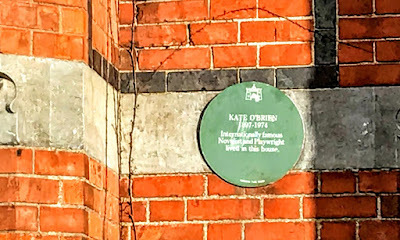 But Kate O’Brien was honoured about two months ago with a plaque at the house where she was born and grew up. 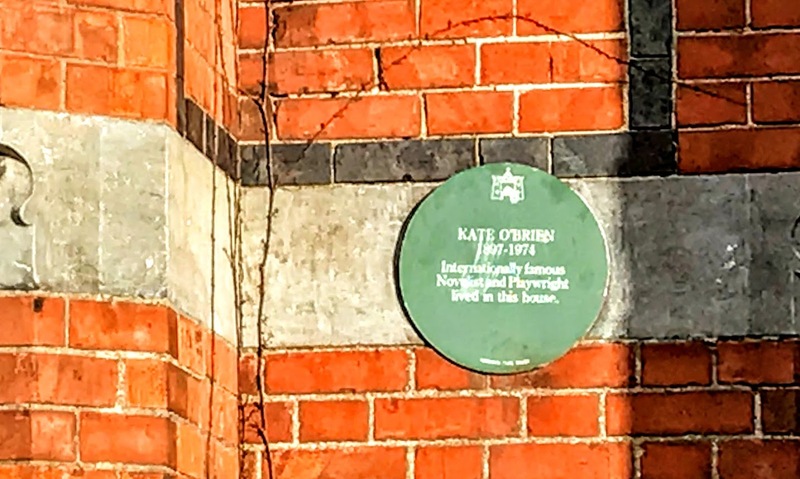 The Limerick Writers’ Centre and Limerick Civic Trust organised the commemoration of Kate O’Brien in October as part of a larger plan to create a Limerick Literary Trail. Kate O’Brien’s papers are now held in the Glucksman Library at the University of Limerick.